Location !! 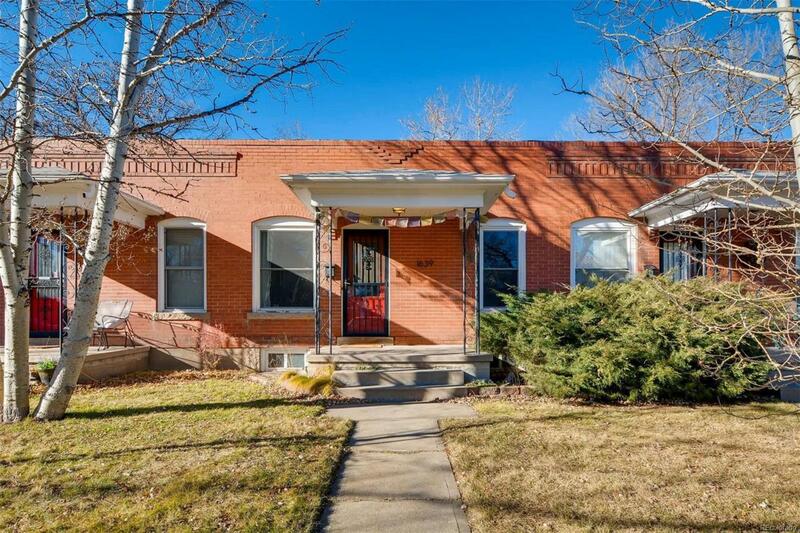 Don't miss this darling row home, ready for your buyers to move in! It's truly a find!!! This home is so cozy with easy living. It's surrounded by wonderful landmarks -University of Denver, Whole Foods, South Pearl Street, Bus lines, Light Rail and even Washington Park & Platte Park! Nice mud room off back porch. Great Hardwood floors, and new tile floors in kitchen and bath w/subway tile; quartz counters;Newer windows, newer gas stove; evaporative cooler plus nearly new front loader washer and dryer in basement.The self-managed HOA includes all 3 owners of the 3 row homes, and included roof, yard maintenance and management.